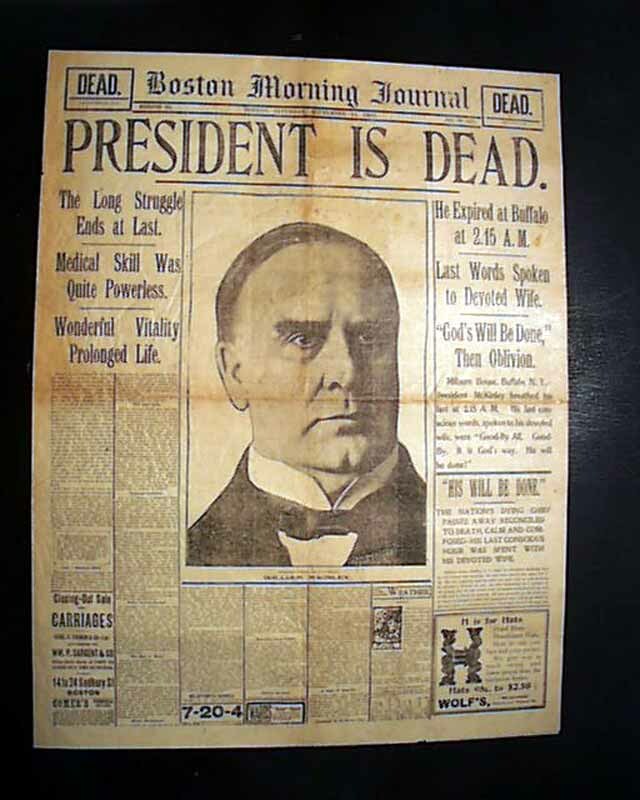 September 14, 1901, front page of the Boston Morning Journal, announcing the death of President William McKinley. Image from Timothy Hughes Rare & Early Newspapers. 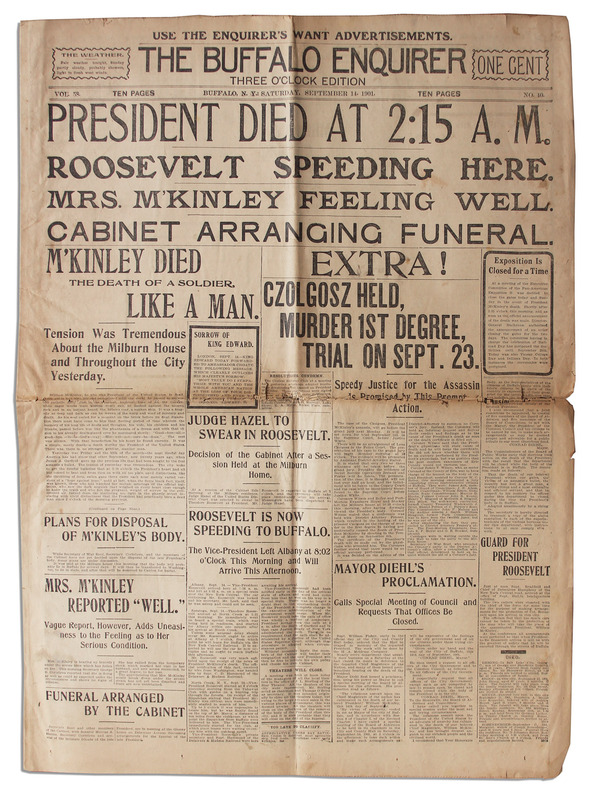 September 14, 1901, President William McKinley died in Buffalo, New York, eight days after having been shot at Buffalo’s Pan American Exposition a sort of World Fair. Within hours, Vice President Theodore Roosevelt took the oath as president. Interesting to read the newspapers from an era before television, radio or especially internet. 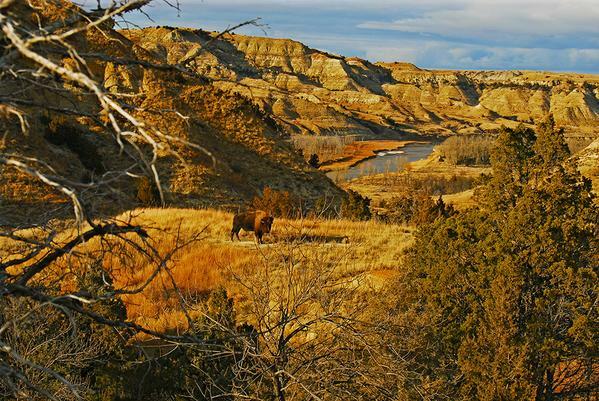 You are currently browsing the archives for the Theodore Roosevelt category.